The Toronto Blue Jays are wrapping their arms around the Canadian flag. Or is the flag wrapping itself around them? 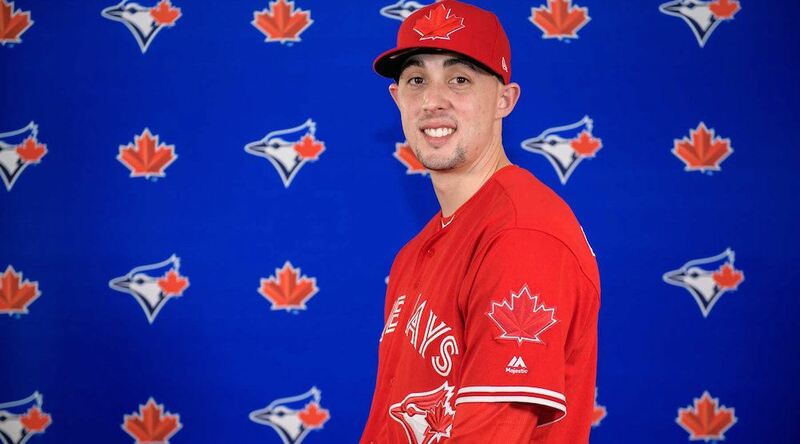 Canada’s lone Major League Baseball franchise unveiled a brand new red and white uniforms on Friday. The team is calling this their “Canadiana” look and features their red maple leaf alternate logo on a red cap. The Jays swill wear their reds on Sunday home games in 2017, as well as other select games in July to honour Canada 150 celebrations. This won’t be the first time that the Blue Jays have donned red jerseys, as they’ve worn special Canada Day uniforms in the past. It is the first time that they’ll be in the regular rotation, though. Spring training is just around the corner for the Jays, with Grapefruit League play beginning on February 26.